Nancy Risher, Accounting Manager and Controller for K2 Design and Fabrication. Integrity isn’t something one can mimic according to Nancy Risher, Accounting Manager and Controller for K2 Design and Fabrication. 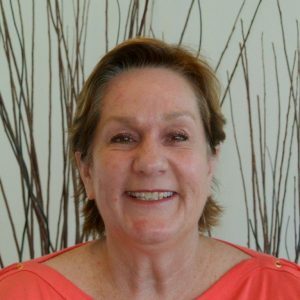 Nancy has more than 25 years of experience in various aspects of accounting. She has worked for K2 Design and Fabrication for five years. Her trust in her faith assures her that she has become a part of the K2 family for a reason. “God has a purpose for everyone and I definitely feel being at K2 is part of his purpose for me,” she admits. The journey for Nancy has been full of ups and downs. K2, like others, suffered due to the Great Recession of 2008. She worked diligently to ensure that its vendors understood payment terms and lengths. Five years later despite the tough time, K2 maintained great vendor relationships. When not working, Nancy leads a bible study at her church and spends times being a surrogate parent to her 11-year-old grand nephew.